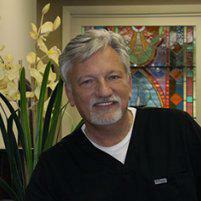 Dr. Ed Trizzino practices holistic dentistry at Smiles of Atlanta in Sandy Springs, Georgia. Holistic dentistry is guided by the principle that dental health and total body well being are closely linked. Dr. Trizzino believes that the overall health and well being of a patient must be considered when delivering dental care. Dr. Trizzino serves patients from throughout Northern Atlanta, Georgia, including the communities of Sandy Springs, Dunwoody, Brookhaven, Roswell, Alpharetta, Norcross, and Tucker. If you have questions about holistic dentistry, call or make an appointment online with Dr. Trizzino today. Holistic dentistry takes into account your total body health in addition to your teeth, jaw, and gums. There are well-documented links between periodontal disease and strokes, heart attacks as well as dental health and health issues like diabetes, high cholesterol, and high blood pressure. Dr. Trizzino and his team deliver dental services that support optimal health by using biocompatible materials that will work well with and support your natural body chemistry. He offers minimally invasive treatments that don’t disrupt the natural flow of your body’s healing ability. First, healthy teeth, jaw, and soft tissue allow you to eat a variety of nutritionally balanced foods. Often when a person experiences tooth or jaw pain or tooth loss, their diet becomes reliant on soft, processed, and nutritionally deficient foods. An unvaried and nutritionally weak diet leads to other health issues like obesity and diabetes. Second, dental structural issues can lead to other concerns like TMD, migraines, sleep apnea, and neck and shoulder pain. What dental practices are considered holistic? In addition to his comprehensive exams and counseling, Dr. Trizzino is dedicated to reducing his patients’ exposure to toxins. For example, more than 30 years ago, he stopped using amalgam filling materials that contained mercury. He also only uses BPA-free composite resin for fillings, which can reduce the environmental and health impacts of the false hormones believed to be found in some plastics. When Dr. Trizzino replaces older amalgam fillings, he uses a rubber dam to isolate teeth that are going to be worked on, has the patient breath oxygen using a nasal hood and takes care to use a high-volume suction to reduce the chances of the patient inhaling any mercury vapors during the removal process. If you have questions about holistic dentistry or if you are looking for a dentist who can contribute to your health care team, contact Dr. Trizzino and the team at Smiles of Atlanta. They are dedicated to helping you and your family improve and maintain optimal overall health and well being.